Los Angeles insurance agency, Ideal California Insurance Agency has been an insurance agency since 2000 with a strong background in life insurance. We can compare life insurance options for you whether you have perfect health, are a smoker, diabetic; have cancer or many other pre-existing conditions with hard to place risks. We are an independent insurance agency, which means we work for you and are not an employee of any particular insurance company instead have access to all of the reputable life insurance companies. As a result, by going through us, you can save the time and the extra efforts of shopping, as we will do the work for you! Give us a call at toll free 1-800-257-4102 to compare free life insurance quotes from all of the decent insurance companies in one simple step, or simply complete a short one page form on our website and we will respond to you promptly. Whether you need term life insurance, universal life insurance, or any other classes of term or permanent life insurance we will search for the best options from several different insurance carriers. Our clients benefit by having affordable life insurance, guaranteed universal life insurance and mortgage protection life insurance policies. 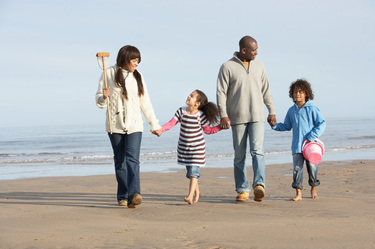 Ideal California Insurance Agency listens to you to understand you better and compare life insurance quotes in order to provide affordable life insurance with sufficient term life insurance. Hundreds of new clients every day from the internet come to us for insurance with different needs such as individual life insurance, life insurance for estate conservation, life insurance for college funding, mortgage protection life insurance, charitable giving by life insurance, life insurance buy-sell funding for businesses, executive bonus life insurance, key person life insurance and more. At Ideal California Insurance Agency, a Los Angeles insurance agency, you know that all of your life insurance needs are taken care of. Along with outstanding customer service, we offer you the peace of mind that you can have both the proper life insurance coverage and lowest life insurance rates. Our insurance agency goal is to perform above and beyond your expectations so that you can remember and recommend us to your friends, family and business associates for all of your life insurance needs. We would like the opportunity to meet with you so we can properly review your life insurance options and to share with you ways to actually be approved for the best plan and pricing. Lets be in contact to set up something soon.